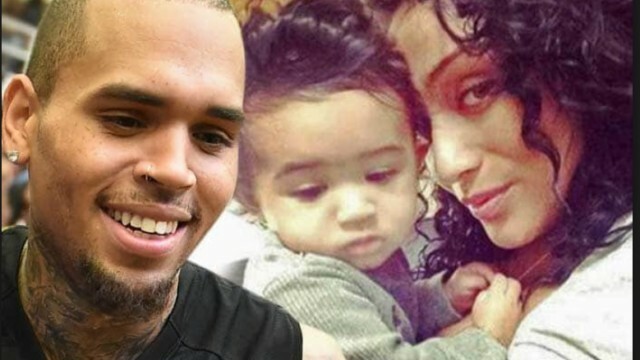 According to new reports, international pop star, Chris Brown has agreed to ‘significantly’ increase his child support payments to Nia Guzman whom he shares his four-year-0old daughter, Royalty with. It is gathered that this is coming after the two patched up their rocky relationship. Chris Brown currently pays her 907 thousand naira ($2,500) a month but is set to up the sum dramatically after months of discussions in mediation. Nia is currently requesting that the award-winning singer pay her seven million naira ($21,000) a month but Brown has agreed to buy a house for Nia and will also pay her legal fees, according to a report by TMZ. It is gathered that Brown decided to increase the child support after mending his relationship with Nia and they are now on more amicable terms and getting on better than ever. It would be recalled that in September, the “Deuces” hitmaker argued their daughter would be ‘spoilt’ if he increased his payments in line with Nia’s request or gave her the 90.7 million naira ($250,000) in retroactive child support she had also asked for. Nia has also claimed that Chris only has Royalty 20 per cent of the time, but the chart-topper insisted he has her for at least 12 days a month. Outlining his expenses, Chris stated that he pays 2 million naira ($6,000) per-month for Royalty’s private school and also covers her medical expenses and the cost of her nanny even though Nia’s mother reportedly takes of her. He also argued that he paid 642 thousand naira ($1,770.98) a month for vacations and travel, 550.5 thousand naira ($1,516.59) for gifts and entertainment, and another 152 thousand naira ($419) for activities. Chris had accused Nia of using their little girl as a pawn and made it clear on his documents that he’s not willing to pay the $21,000 per month she has reportedly requested. In a change of mind, however, Chris has offered to increase the fee to 3.5 million naira ($9,813) a month. NookReporters is a news website developed by a young Nigerian Blogger Adeniyi Seyi Gabriel a.k.a Master G to update you on latest happenings around the Globe.